I’ve been on a mission the last couple months to play some of the great games that I’ve missed. Either by reason of just not bothering or not having time, these were games that received great scores and reviews. Some were even Game of the Year. Sadly, I’m reminded why I skipped several of these games; they are all too short. I created a list a while back of great games I had missed that I wanted to catch up and play. Some of these included games I talked about last time (Mass Effect 1 & 2, Fallout 3) but some were critically acclaimed games. The rest included Batman: Arkham Asylum, Bioshock 2, and Splinter Cell: Conviction. I also have not played Assassin’s Creed 1 or 2, but I haven’t felt inclined to play an open world collect-stuff game. 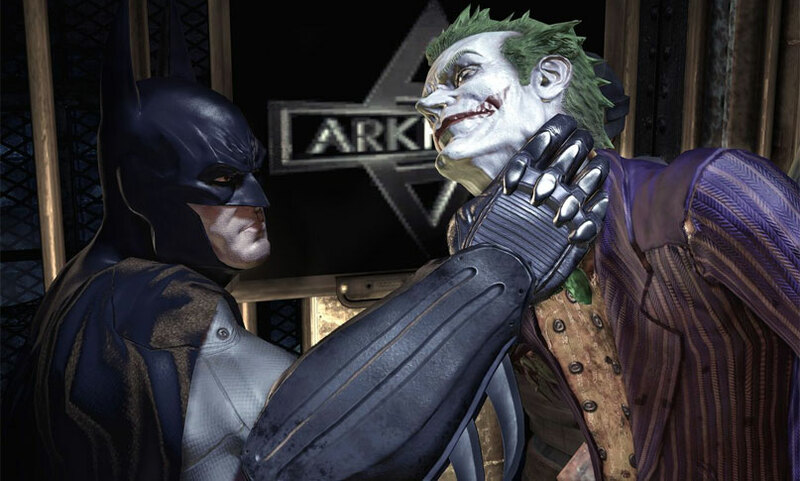 I started Batman: Arkham Asylum in mid February and I would guess I got about 25% of the way through the main story before putting it on the back burner for a while. I hadn’t got the graphics tweaked quite right so it ran slow and wasn’t fun to play at a 10 frames per second rate. At the end of April, beginning of May, after finishing Fallout 3, I picked Batman: Arkham Asylum back up and spent a whole Sunday afternoon adjusting the graphics to play to my liking. After finally getting it set up the way I wanted, I played for the rest of the night until about 1 A.M. The game was fun. I liked that more detective elements were introduced into gameplay rather than the traditional full combat gameplay that is found in nearly every other Batman game. However, at 1 A.M., I didn’t stop playing because I was tired of felt the need to go to bed. I stopped playing because I had beaten the game. Even though the character screen that told me I was only 62% complete, I had finished the entire story. I didn’t feel like playing through pointless challenges and scavenging for every Riddle trophy when the reward for doing so was only the satisfaction of discovering every nook and cranny on Arkham Island. I was disappointed, but still had my goal of playing through more games. I began a new game of Bioshock 2. I greatly enjoyed the first Bioshock. I loved how it meshed a first person shooter with progression and RPG elements, and then through in a story that made you want to play more. Most first person shooters offer gameplay and combat as their main dish when really story is my meat and potatoes. I hadn’t played the first Bioshock since it was released in 2007, so it took me a while to warm up to how fast enemies moved and what were good plasmid/weapon combinations. Instead of playing through in one straight shot, I spread my playtime out. I only played short sessions of about 2-3 hours each day, but after 4 or 5 days, I saved Eleanor and all the little sisters. Right after finishing, I compared the story in Bioshock 2 to that of the first Bioshock, and while the sequel wasn’t as great as the original, it was right up there. However, that is not the fault of bad writing or narrative. The first Bioshock was such an original idea, concept and setting that it was impossible to live up to. 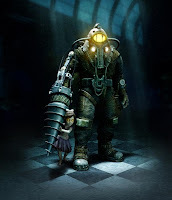 Bioshock 2 did as good as it could when being compared to the first game, and I’d still recommend it to anyone who enjoys story in their first person shooter.But again, I was disappointed how short the game was. Only about 10 hours and there was nothing left for me to do. There was multi-player, but if I’m going to play shooter multi-player, its going to be something that has a big player base and has refined its architecture and mechanics. Something like Counter-Strike was back in the day, or to compare it to today’s market, Modern Warfare 2. Though I would never play Modern Warfare 2 due to its market (the college “bro”), I am, however, looking forward to Black Ops. 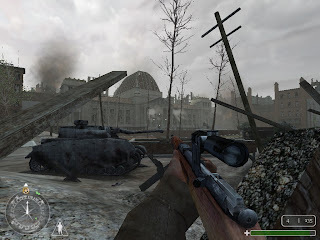 The last Call of Duty game I played was Call of Duty 1. This last Tuesday I loaded up Splinter Cell: Conviction. I’ve been looking forward to playing this because I had been a fan of previous Splinter Cell games (Pandora Tomorrow and Chaos Theory). I began playing late that afternoon, and before midnight, I was done with the single-player campaign. The main story portion lasted 5-6 hours at most. 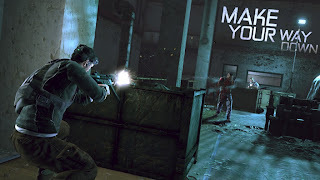 The game was enjoyable and I liked the fact that you could choose how you completed each area, either through stealth tactics or a firefight, but Conviction is easily one of the shortest games I’ve ever played. There were other modes including co-op and multiplayer, but these are only distractions. Multi-player doesn’t add any story elements, and co-op only details one character’s background as far as 10 days before the actual game takes place. My whole point is that this is why I am more prone to MMOs and RPGs. Other single-player games just don’t last long enough. I played Asheron’s Call, my first MMO, for at least 2.5 years. Star Wars Galaxies I played for 3 years. This July will mark 5 years since I activated my World of Warcraft account. Who knows how long I will be playing The Old Republic. It took me 40 hours to complete the first Knights of the Old Republic. The second game took me nearly as long. Mass Effect 1 was over 30 hours of game time, Mass Effect 2 was over 50 hours and there is still more DLC coming in June for it. Fallout 3 was at least 60 hours. Some of these games took months, rather than days, to finish. Still, there are a few games left on my list that I plan to play through. I’m debating whether I should actually play F.E.A.R. 1 and 2 in preparation for F.3.A.R. Dead Space was one game I skipped over but after learning more about it and the upcoming Dead Space 2, I’m definitely excited to play it. I also just added the newest Prince of Persia: The Forgotten Sands to my list. I have fond memories of playing The Sands of Time at 2 A.M. on Christmas Eve. Part of the reason I wouldn't like to play those short games (not only because those aren't the kinda games I'm interested in...) is because how much cash do you have to drop to buy one? $50? $60? Then you only get 6-10 hours out of them? Part of the reason some people play video games is for something to do other than going out and spending money, but if you're only getting 5 hours out of a 50$ game, you could go see 4 to 5 movies (depending on the day and if you have a student ID, perhaps) and get roughly twice the time out of it! This estimate is based on the thought that here movies are about 10$ and end up being around 2 hours long. If we're going to pick one or the other, I'd rather go see the movies! Feel free to use these observations in a later post or article, hahah!